Save 30%! Blue Friday in July Sale! Until August 14th, save an incredible 30% off all our stylish buildings! 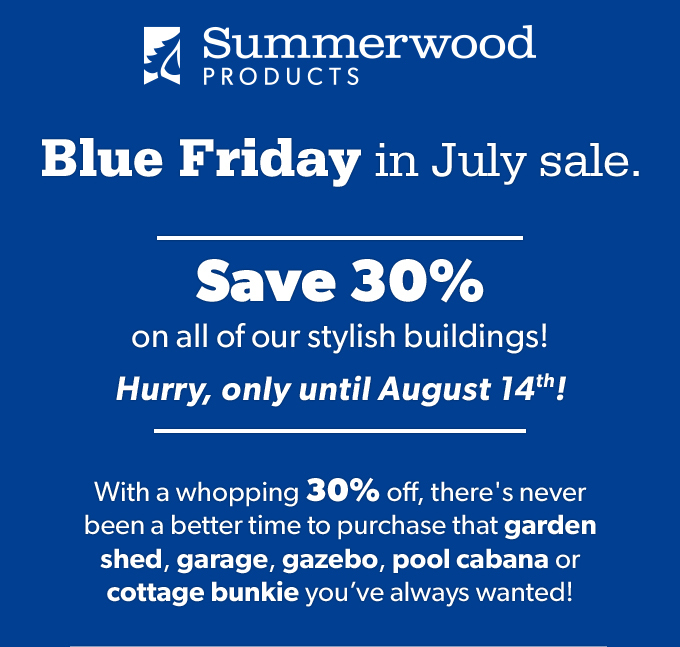 Take advantage of the savings and get that Summerwood Design you’ve been dreaming of!